If your child is about to embark on their ‘GCSE journey’, there are probably dozens of questions spinning around your mind. Aside from the obvious one (which is ‘where has all the time gone? It seems like only yesterday they were at primary school!’), you may well be wondering about the new style of GCSEs, how to encourage good study skills from the outset, and what you can do to support your child in their studies. This blog aims to provide a short introduction to what to expect during the GCSE years – and what you might be able to do to help! In recent years, GCSEs have changed. The new courses include much less coursework (or controlled assessment) than before, with only some of the more practical subjects like dance, art and drama retaining this element of assessment. What is more, most exams will now be taken at the end of a two-year course, removing the module system that was previously in place for some subjects. In many subjects there have also been changes to the content students are expected to study, and they will generally be required to answer more essay-style questions. There is a new 9 to 1 grading system too. For more detail, take a look at our blog post explaining the new GCSEs. However, whilst your child might well think that GCSEs are ‘far too hard now’ and that they’re ‘never gonna be able to do them’, it’s important that we reassure them that although GCSEs have changed, they are still there to do the same job as they’ve always done – that is, to assess how well you have got to grips with a particular subject. If you are a good geographer or historian, who has worked hard in class and at home, listened to advice from teachers, attended school regularly and tried their best, then you will be rewarded with the grade you deserve. GCSEs may well have been ‘reworked’ but they will still assess the same skills, knowledge and understanding that they have always done. They might get students to do things slightly differently, but the good scientists and linguists, for example, will still be rewarded with good grades! Panic over! Some schools (including my own) now have a two-year Key Stage 3, which leaves three years for GCSEs at Key Stage 4. Other schools have stuck to the more traditional division between the key stages, with a three-year Key Stage 3 and a two-year Key Stage 4. No matter how your child’s school is set up, the chances are that for some of your child’s new GCSE subjects, they will have more lessons in that subject per week than ever before. This is because there is space in their timetable as a result of them ‘dropping’ some subjects. For example, your child may have had one or two history lessons and one or two geography lessons per week in Key Stage 3. However, they may have chosen to do GCSE geography and dropped history – so they will probably now have three (and some cases four) GCSE geography lessons per week. If we keep with the geography example, the department has free reign in how they follow the specification (course of study) they have chosen. They may choose to start at the top of the list of course topics and work their way down it. However, they may split the course up into units and study different units on different days. Some geography departments I know study human geography for two of the four lessons and physical geography for the other two. This might result in several different exercise books for the same subject – and this is something that you might be able to help with! Just being aware of which books they need to take on particular days and creating a space for them to keep their books handy will reduce stress levels no end when they are scrabbling around searching for their school books at 8am. Furthermore, I would certainly make sure you know which examination board and specification your child is studying for each of their subjects (get your child to ask their teacher). There are several main government-approved examination boards that provide GCSE courses and exams for students. Each subject at your child’s school will have chosen one of these courses to follow. Make sure you know if your child follows the AQA history course or the Edexcel one, for example. Knowing this means that throughout your child’s time studying GCSEs, you can go onto the exam board website and download all sorts of free resources to help support your child’s learning, including specimen and past exam papers, mark schemes and example answers. They will very probably get homework (although some schools now follow a ‘no homework’ policy). Those that set homework (most do) will publish a homework timetable, which has been designed to be manageable. Make sure you have access to that timetable and act quickly if your child isn’t sure what to do. No teacher takes pleasure in a child doing homework badly (or not at all). The homework is given to enhance learning, so if your child is unsure, simply write a short note asking for the teacher to explain the homework again. Creating a study space is a really positive thing to do – away from all distractions if possible. I know this is very difficult in some families – but a small, quiet area where your child can take ownership of their learning should bear fruit in the future. Then, make sure your child has everything they need – notebooks, revision books, pens, paper, post-it notes, index cards, and so on. You could buy folders that allow them to divide and organise their work into sections, so their work is easy to access. Help your child create an overview of what they need to revise and break each subject down into manageable chunks. This is where knowledge of the exam board specification will help. Set definite start and finish times for revision sessions and have a clear goal for each session. Get your child to ask your teachers for practice questions or past papers. Get them to practise making plans and answering questions under timed conditions. During breaks, have your child do something completely different – for example, they could listen to music, have a chocolate biscuit, or make a cup of tea. Ensure they make their revision active. Don’t allow them to just read notes – make flash cards or mind maps, or use the post-it notes you bought when setting up a study space. As well as knowing what exam board specification your child is studying for each subject, it might be worth investing in some of the approved resources that may well be used by the school. For example, if your child does history, there is every chance that the school history department will use one of the exam-board-approved textbooks. This might be a worthwhile purchase as it allows you to follow what they are doing in class, and even means you could set little recall tests for your child – nothing overly complicated, but a message that home is ‘on it’ as much as school! It might also be worth thinking about your family’s ‘away day trips’ a little more carefully. Trips to art galleries, river valleys, coastal zones, science museums and heritage sites such as castles, battlefields and cathedrals might brighten up some of the topics in school. My daughter, for example, is studying GCSE history and was recently doing a unit on medicine in Britain, c. 1250–present. When we went to Edinburgh on a recent family holiday, I made sure we visited James Simpson’s house on Queen Street and went to the National Museum of Scotland to see Alexander Fleming’s Nobel Prize for Medicine. The art, design and fashion galleries were also of specific interest to her as a GCSE design and technology: Textiles technology student! Finally (and I think this is perhaps one of the key elements of parental support) it’s important not to stress too much about the transition! In the same way that primary schools aim to form the bedrock of knowledge, skills and understanding that students will need as they progress to secondary school, the secondary school will have been preparing your child for their ‘GCSE journey’ throughout Key Stage 3. And, of course, if you do have any concerns about your child’s progress, attitude or effort, be sure to use parents’ evenings as an opportunity to develop a positive relationship with the teaching staff – they absolutely want your child to do as well as you do! This full-colour write-in revision workbook focuses on how to achieve grades 6–9 by taking students through the individual exam questions and providing extensive practice opportunities, self-assessments, sample student answers, revision tips and sample exam papers. Easy to digest, specification-specific content that recaps and summarizes essential knowledge into manageable chunks. Revision activities and six-second summaries to prepare students for their first external exams. Revision checklists help monitor students’ progress. 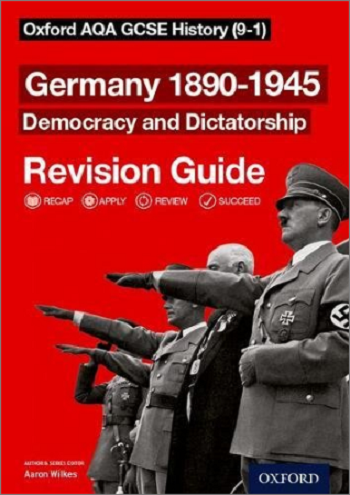 This Germany 1890–1945 Democracy and Dictatorship Revision Guide is part of the popular Oxford AQA GCSE History series. Written to match the new AQA specification, this guide covers everything students need to know to succeed in the Paper 1 Germany Period Study exams. The book includes key event recaps with diagrams and brief points, revision activities, exam-style questions, progress checklists, and up-to-date expert advice on exam technique. 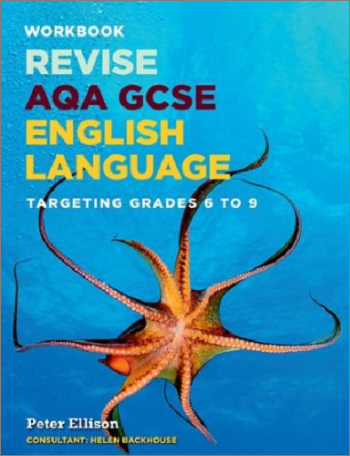 Building on the Oxford AQA GCSE Religious Studies Student Books, this revision guide offers a structured approach to revising for the new 9–1 exams. 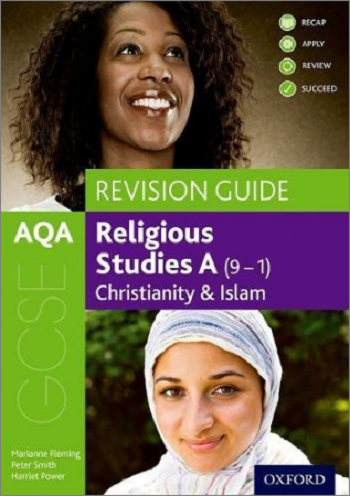 This revision guide is ideal for students combining Christianity and Islam. With all the essential content condensed and made memorable, and plenty of exam practice, tips and annotated sample answers, students can confidently prepare for their new exams. 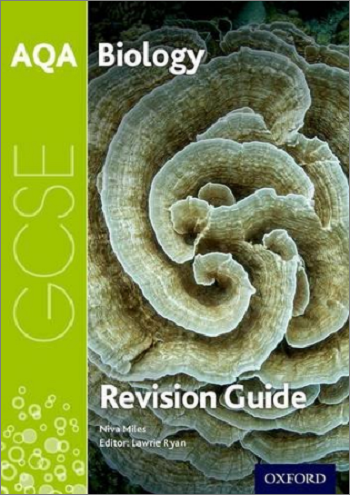 Specifically tailored for the 2016 AQA GCSE Science (9–1) specifications, this revision guide supports students on their journey from Key Stage 3 through to success in the new linear GCSE qualifications. 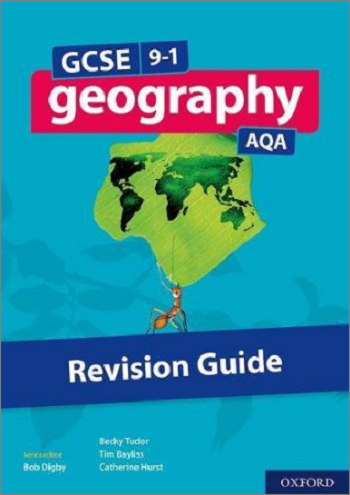 This revision guide includes differentiated questions to help all students make progress and build confidence, synoptic links to help students make connections between topics, support for the increased mathematical demands of the specifications, support for answering the new practical questions, checklists to help monitor progress, and exam-style practice questions. Aaron Wilkes is one of the leading history authors in school publishing as well as teaching for over 20 years in a variety of schools in the West Midlands. He's also dad to two children in secondary school. His eldest is currently in the middle of her GCSE courses, whilst his youngest has just moved up to 'big school’.